Local SEO is an important part of any restaurant’s digital marketing strategy. But it is even more important for restaurant chains or local restaurants with more than one location. Proximity is one of the most important ranking factors in local search according to Moz’s 2018 Local Search Ranking Factors report. That means that if Google doesn’t know you have restaurant’s in a specific area, your flagship restaurant is going to be displayed even when you have two other locations that are much nearer to the searcher. Or, even worse, your restaurants won’t show up at all. Get multi-location SEO wrong and you can severely limit your brand’s visibility in Google. Get it right, however, and you can dramatically increase awareness of your restaurant locations and drive even more customers through your doors. Use this guide to optimize your brand’s local SEO across all of your locations. Each restaurant location needs a dedicated page created on your website. 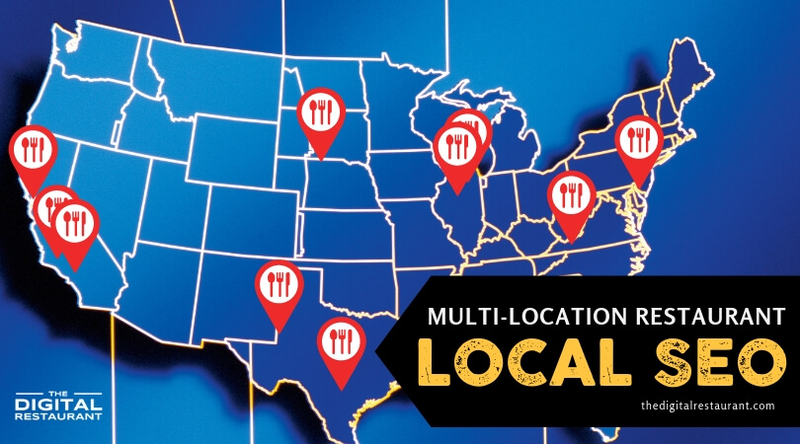 So if you have three restaurants, you need three location pages. Creating unique pages for each location helps Google understand that you have several different restaurant locations, it gives you more chances to rank in Google and it creates a better user experience for your customers. You may think it’s better to create a separate website for each of your restaurant locations. It is not. Unless they are completely different websites with no link between them, all of your locations should be run from a single domain. Not only does it make things easier to manage, a single website means a more reputable and authoritative brand that search engines are more likely to trust. What Should Be on Each Page? Each page will need at least 200 words of content, a title tag, an H1 tag, images and a meta description. The title tag and meta description should include the name of your restaurant and the location. The H1 tag should also include your location and a keyword. “Pizzeria in Naperville” would be a good H1 tag, for instance. The more information you can add to each page, the better. You want to avoid creating thin content (less than 200 words). Consider adding content about the history of each restaurant, relevant information about the local area and reviews from customers. You could even profile some of your staff members. 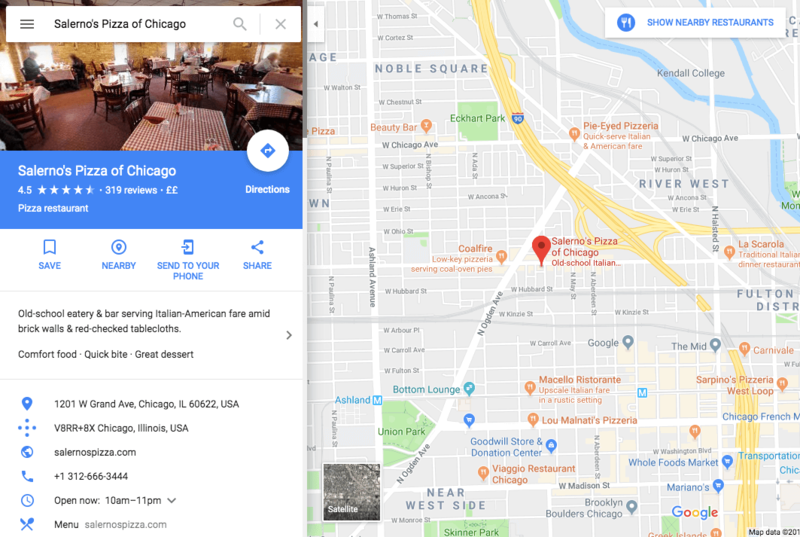 If you want to take things one step further, you could add a Google map that shows exactly where your restaurant is located and links to its GMB page. If you only have a couple of locations, you should link to each location in the footer of your website. If you have more than five, then you should create a separate “locations” page that lists all of your locations and link to that one page in the menu and the footer. Google My Business is one of the most important marketing tools for your restaurant. Google publishes their local business results above the fold meaning it is one of the first things that users see. If you can get each of your restaurants to appear here for local searches, you’re virtually guaranteed to get customers through your doors. Owners should create a separate Google My Business page for each restaurant location. It isn’t practical or useful to use one page for every single location. Doing so will limit the visibility of every restaurant and potentially confuse customers. You don’t need to create more than one account, however. All of your location pages can be managed from your existing Google My Business account. It’s worth spending time on these profiles to make them as in-depth and high quality as possible. Add as many relevant, location-specific photos as you can and make sure all of the information that you post is accurate. Finally, you will need to verify each of these profiles. This can take a couple of weeks as Google will send out postcards to each address. Make sure the managers of each restaurant are aware that these are on the way so they don’t throw them out accidentally. It’s not just Google My Business and your own website where you need separate pages for each location. Creating separate accounts and listings for each restaurant on review and aggregator websites like Yelp!, Tripadvisor and Zomato is also important. Google also uses these sites as ranking factors for local search results. Besides, your customers may also use them to find restaurants, too. NAP stands for Name, Address and Phone Number. These are the key pieces of information that you will create on each website and they are what Google uses to rank your restaurant. Keeping each of these consistent for each location is absolutely key for successful SEO. Before you start creating new citations for each location, write down exactly what format each of these pieces of information will take. For example, if your address appears as 1444 N. Farnsworth Avenue, Suite #100, Aurora, IL 60505 on Google My Business, you don’t want it appearing as 1444 North Farnsworth Avenue, Suite Number 100, Aurora, IL 60505 on Yelp!. Your restaurant’s name, address and phone number have to be exactly the same every time you use them online! This cannot be stressed enough. With your NAP style to hand, it’s time to create citations for each of your restaurant’s locations. Start with the top review websites before moving onto national aggregator websites and city-specific directories. While you are there, you should also be checking the consistency of your NAP on the listings that you have already created. Edit any that aren’t in line with the style you decided on above. Online platforms like Yext or BrightLocal can be incredibly useful in helping you to find the websites you are currently listed on and the most relevant citations to build next. It will also be worth creating individual Facebook location pages for each restaurant. Even if you have a main brand page, Facebook now lets you manage and create location-specific pages for each restaurant and manage them from a single account. After you have set up individual location pages, Facebook will add a Locations tab to your main brand page. Users will automatically be shown their closest restaurant when they click on the tab. They can also use a search feature to find other locations. These individual pages will also show up in normal Facebook searches making it easier for potential customers to find and review specific locations. Set up separate business locations on Facebook now if you haven’t already. You already know the importance of getting good reviews on sites like Yelp!, and Google. But it’s now important that diners post their review to the correct restaurant’s account. Unless you are a chain of restaurants, it’s only natural for the food and service to vary slightly between each location. 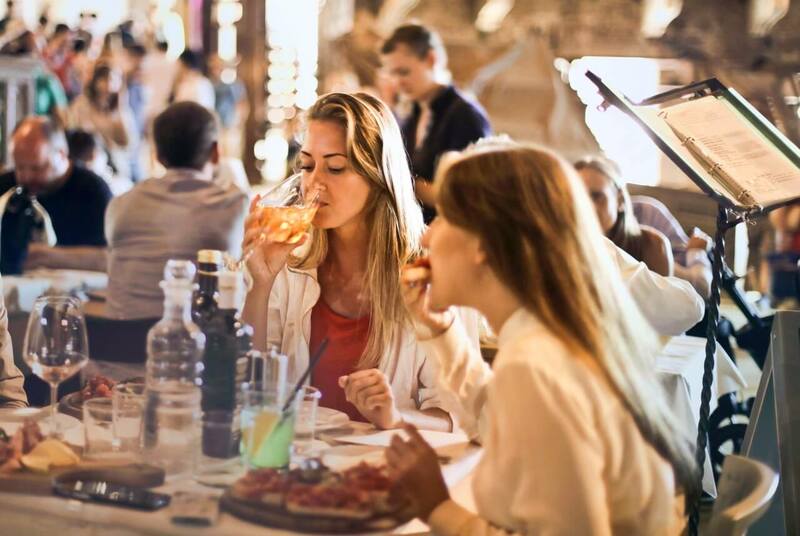 Customers will therefore want to get an idea of what the food and service is like at each specific restaurant, rather than the average experience across all of your locations. It can help you get a feel for how each restaurant is performing, too. It’s a lot harder to spot an underperforming location when all of the reviews get posted on a single account. The quicker you can spot a trend appearing, the quicker you can solve the problem. Google, Yelp! and Tripadvisor reviews should be your primary concern. So is making diners aware of your different accounts. Creating business cards with the URLs of each review website can be a great way to encourage reviews and ensure that diners are posting their reviews to the correct account. This is the final and least important local SEO step for restaurant owners and marketing managers to complete. Backlinks are important for local SEO but they aren’t as important as citations or Google My Business pages. In truth, you should have already created backlinks to each restaurant’s location page when you created citations. It never hurts to create more though if you get the chance, however. Partnering with local businesses or sponsoring local charities is a great way to get backlinks to the location pages of your restaurants. Hosting an event at your restaurant can also work to attract links from reputable local websites. Don’t spend too much time trying to build local backlinks. Your time will almost certainly be better spent elsewhere. But it’s important to be aware of the kind of occasions that can generate backlinks to your website and take advantage of them when they occur. If you’re struggling to manage marketing for your restaurants, we can help. Our online marketing platform NGAZE makes managing multiple locations a doddle. Request a demo to find out more.